This film examines the US immigration system through the lives of two unforgettable protagonists whose lives reveal the human cost of deportation. The latest film from acclaimed filmmaker David Sutherland (Kind-Hearted Woman, Country Boys, The Farmer’s Wife), Marcos Doesn’t Live Here Anymore examines the US immigration system through the lives of two unforgettable protagonists whose lives reveal the human cost of deportation. Elizabeth Perez, a decorated US Marine veteran living in Cleveland, fights to reunite her family after her undocumented husband, Marcos, is deported. Meanwhile, Marcos is alone in Mexico, working as a soccer referee, struggling with depression and fighting the urge to cross the border illegally to see his family. With his signature raw, unfiltered intimacy, Sutherland weaves a parallel love story that takes us into a world often lived in the shadows. 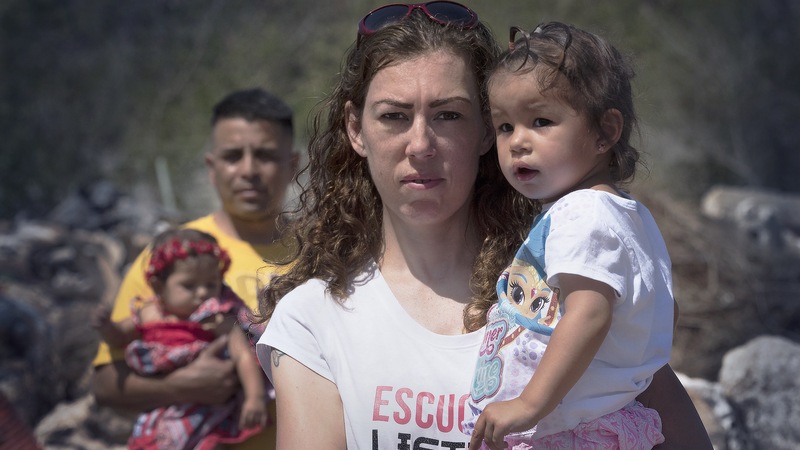 When Elizabeth's efforts hit a legal brick wall, she must plan for the unthinkable alternative: leaving the US with her children to live in exile in Mexico. A special presentation of Independent Lens, FRONTLINE and VOCES, Marcos Doesn’t Live Here Anymore premieres on Monday, April 15, 2019 at 9 p.m. on WXXI-TV. Sutherland follows Elizabeth on her mission to bring back Marcos, which she pursues with the take-no-prisoners attitude of a Marine squad leader. She strategizes with lawyers and organizers on how best to move a seemingly unmovable government bureaucracy and, bullhorn in hand, speaks to crowds of immigrants, advocating for rights and better treatment for undocumented workers and their families. Sutherland also follows Marcos in Mexico where we witness his efforts to cope with the frustration of his situation, caught between the temptation of crossing the border illegally or moving on without his wife and kids. Ever the Marine, Elizabeth struggles to remain “always faithful, to God, to family, and to this country,” as the pressures of her long-distance marriage continue to build. Yet, even if they find a way to reunite, they confront the looming question of whether they can be a family after all these years of separation and disappointment. Like all of Sutherland’s works, Marcos Doesn’t Live Here Anymore tells a profoundly human story of complicated, imperfect people doing their best to cope with what life has dealt them.